So, if you’ve been following my blog for a while, you know that I really like humor and I’m likely to shy away from books that might seem depressing. I’d had more than one writer friend recommend Emery Lord books to me, and I’d been a bit leery when I read the descriptions, but I guess I was just in the right mood to pick up THE START OF ME AND YOU last week, and I am so glad I did. Despite the presence of quite a few sad moments (and the main character dealing with recurring grief), I absolutely loved this book. Here’s the description. It’s been a year since it happened—when Paige Hancock’s first boyfriend died in an accident. 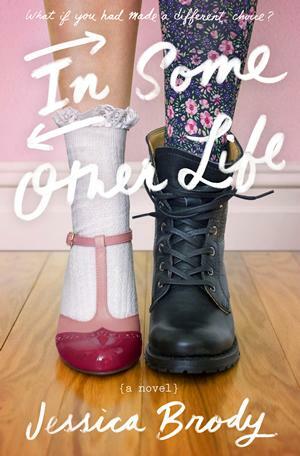 After shutting out the world, Paige is finally ready for a second chance at high school . . . and she has a plan. First: Get her old crush, Ryan Chase, to date her—the perfect way to convince everyone she’s back to normal. Next: Join a club—simple, it’s high school after all. But when Ryan’s sweet, nerdy cousin, Max, moves to town and recruits Paige for the Quiz Bowl team (of all things!) her perfect plan is thrown for a serious loop. Will Paige be able to face her fears and finally open herself up to the life she was meant to live? 1. Paige’s friend group – I love how close-knit and supportive Paige’s group of friends are, even when they aren’t on board with the choices one of them is making. It was a really great picture of how girls can build each other up and even let each other fail–because sometimes you need to do that–but still be there to help put the pieces back together. I also enjoyed how Paige expanded her friendships beyond these girls throughout the book. 2. Girl Scout cookies! – This might seem totally random, but I am a cookie mom, and so the interesting focus on Do-Si-Dos was hilarious to me. And yet … as random as it was that these cookies were a source of bonding for the two main characters, they also turned out to play a pivotal role in the climax of the story. And as a writer, I found it fascinating how they were planted early on and then showed up later. So, in reality, this point is as much about storytelling as cookies :). 3. Paige’s grandma – I loved the relationship between Paige and her grandma and all of its bittersweet facets due to her grandmother’s Alzheimer’s. As someone who was very close to my own grandma, I could relate to how they shared secrets and dreams, and in general I enjoy reading books where there are multi-generational relationships. 4. Paige’s character growth – I think what made this story most compelling for me was Paige’s growth throughout the story. It starts a year after her boyfriend died, and she is still hurting, but not necessarily for the reasons you might expect from the basic description. Yes, she cared about him, but they hadn’t dated long, so there is guilt that she doesn’t deserve to grieve as much as others and a bunch of other issues related to the way he died. She’s afraid to move forward for so many reasons–and in a lot of different areas. I liked that the story started at the point where she decides she has to make changes in her life but doesn’t quite know how. 5. The romance – Oh my goodness, the romance. I had a goofy grin on my face at the end of this book. It was just that sweet. For about half the book I wanted to reach in and grab Paige by the shoulders and be like, “Hey, girl, wake up!” But she had a whole journey to go through to figure things out. Also, there’s a rather perfect PRIDE AND PREJUDICE reference that just makes me swoon even more. 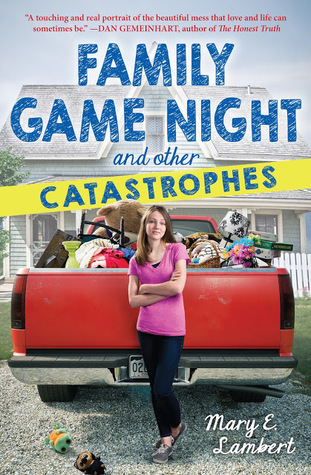 On a final note, when I went to Emery Lord’s website to grab the description for this book, I discovered she’s written a sequel that’s coming out this year, so that’s a bonus! I will definitely be checking that out. Have you read THE START OF ME AND YOU? What did you think? I’ve loved every book James Riley has written. Both the Half Upon a Time and Story Thieves series are wonderfully unique and hilarious, and so I was very excited to see the announcement of his new series, The Revenge of Magic, for–count ’em–SEVEN books. Thank you so much to Simon and Schuster Children’s Publishing and NetGalley for letting me get an advance read on this book. It comes out March 5, and while the tone is a bit different than that of James Riley’s previous books, it is a fantastic story full of twists and turns that will keep readers engaged and hungering for the next book. 1. Fort’s father – Since I read an advanced reader copy, I can’t give you any quotes for this book, but please believe me that Fort’s father is entirely quote-worthy. The book begins with Fort and his father touring the Lincoln Memorial, while Fort’s father tells anyone within hearing distance about the wonderful feats Fort will accomplish someday. It’s both embarrassing for Fort and completely endearing. As the story progresses, Fort continues to hear his father’s voice in his head, as a sort of bolstering presence. 2. Cyrus – Cyrus, the student who practices clairvoyance, is the perfect foil for Fort. Every insult and strange look just slides right off him. Plus, he’s just awesome, and the rest of the kids don’t even recognize it. I expect he will continue to become more awesome as the series continues. 3. 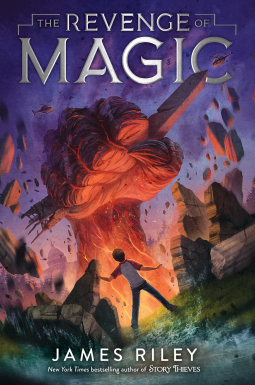 How the magic isn’t as expected – What I love most about James Riley’s books is that you’ll be reading and you think you know how things are going to work, and then he throws in a twist that turns everything around so you have a completely different perspective. THE REVENGE OF MAGIC is no exception to this rule, but I don’t want to spoil anything. Suffice it to say, Fort has to rethink both his own goals and the overall strategy against the beings who attack (sorry, purposely vague). 4. The secrets – Everyone is keeping secrets from everyone else in this book. Some of them are because they’ve been told to keep secrets, others out of fear or to repress bad memories, but the end result is chaos. Fun times! Actually, since this is the first of seven books, I think the secrets are necessary. I expect there will be many more reveals. 5. The ending – I was not surprised to find James Riley leaving this book on a cliffhanger. It was like–bam!–here’s something for you readers to hold on to until the next book arrives. Very well done, Mr. Riley. I did mention at the beginning of my post that this book’s tone was different from his others, and so I do think I should address that. One of my favorite things about his other books is the humor, and that’s not a big part of this one. It’s not completely devoid of humor, but it’s not a main focus like in the other books, I think because Fort is dealing with grief and anger during this book. Humor would seem out of place. However, I wouldn’t be surprised if it does come into play as the series progresses. Regardless, I still very much enjoyed the book and look forward to reading the rest of the series.